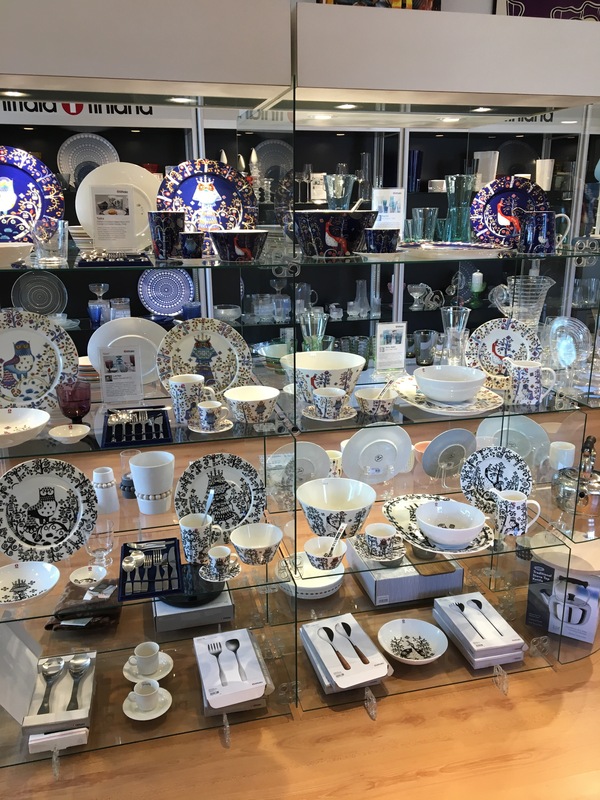 I have always loved Finnish design and have been surrounded by its beauty my entire life since my family originates from the lovely country of Finland. I love how much of the inspiration ties back to the lakes, nature, Finnish folklore, the Kalevala and nordic simplicity. Finnish design is truly timeless design. Since I was a child, The Finnish Place has been my resource in Toronto for all things Finnish. First located on Yonge Street in the heart of downtown North York and now a bit farther north at Yonge and John Street in the lovely community of Thornhill. 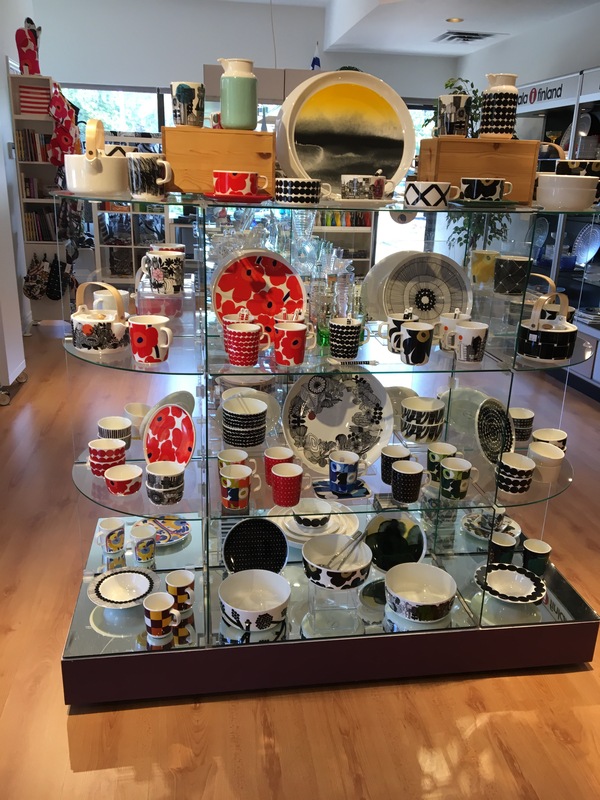 They have a great selection of items made by Aarikka, Arabia, iittala, Kalevala Koru and Marimekko as well as other Finnish brands. I have always loved the vase designed by the famous Finnish Architect Alvar Altao. It reminds me of the Finnish lakes and the Finns love their time spent by the lake at their mökki – the Finnish term for summer house and definitely not to be confused with a Muskoka summer house. I own two smaller versions of this vase but definitely hope to add a larger one to my collection in the near future. Happy to discover on my recent visit that one of my favourite pieces – Kastehelmi tealight candle holders – have returned to Canada and are available again at The Finnish Place. 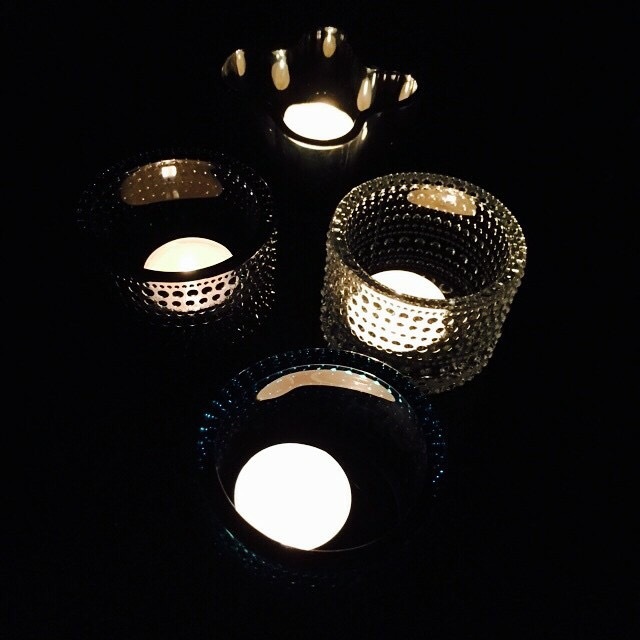 I love lighting these on dark winter evenings as my own form of hygge. 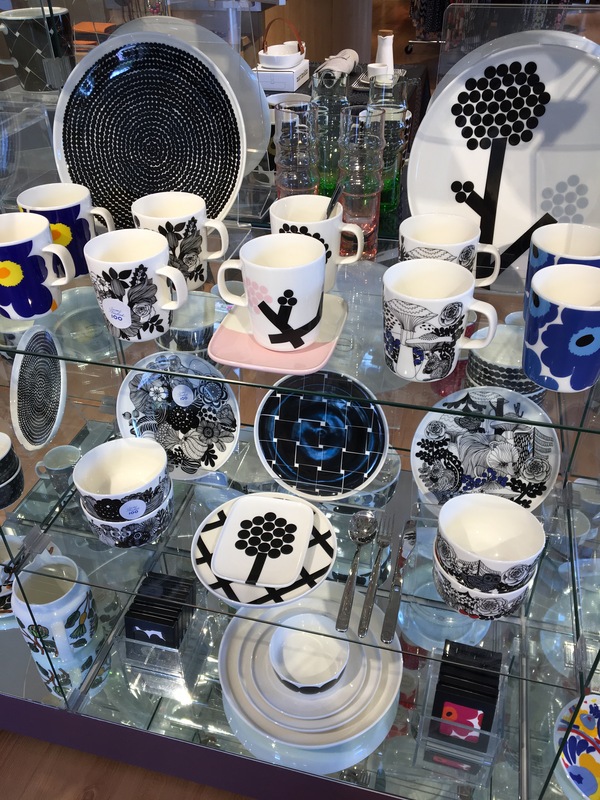 The beautiful Marimekko prints always bring happiness. I own a few of the prints as pillow covers and also have used fabric stapled to a board to create a colourful kitchen print. 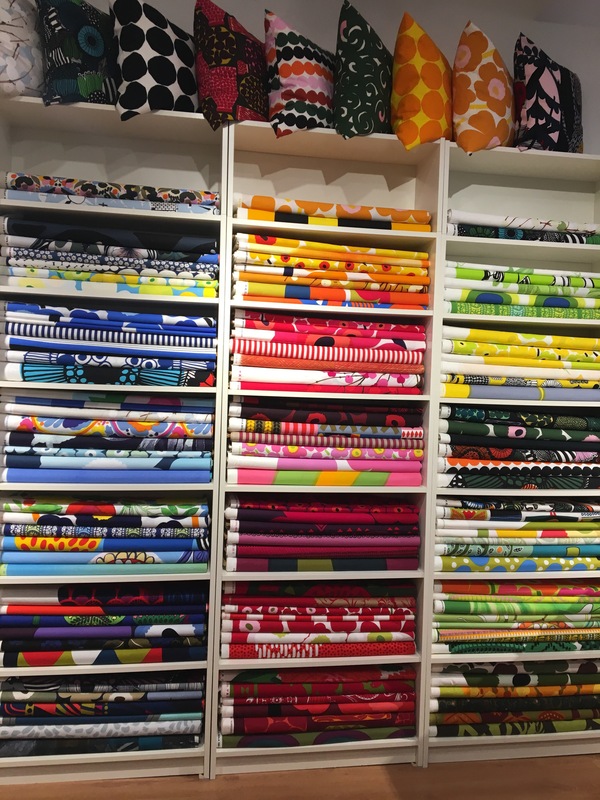 The Finnish Place has an extensive selection of fabric as well as clothing and accessories in these fun and colourful prints. 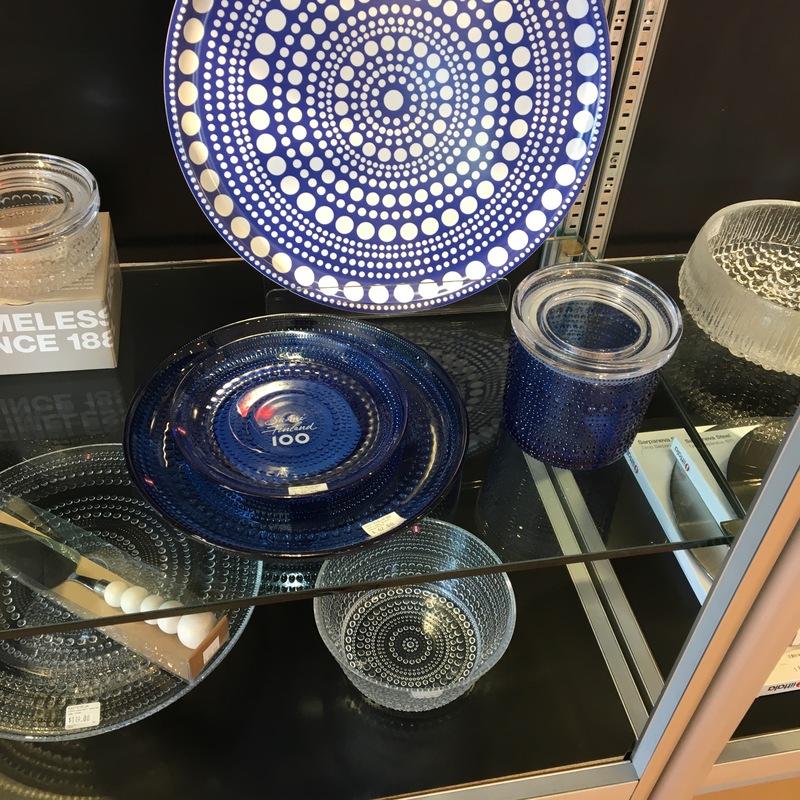 You don’t need to be Finnish to add some beautiful Finnish design elements to your home and luckily you don’t need a voyage to the land of the midnight sun either. 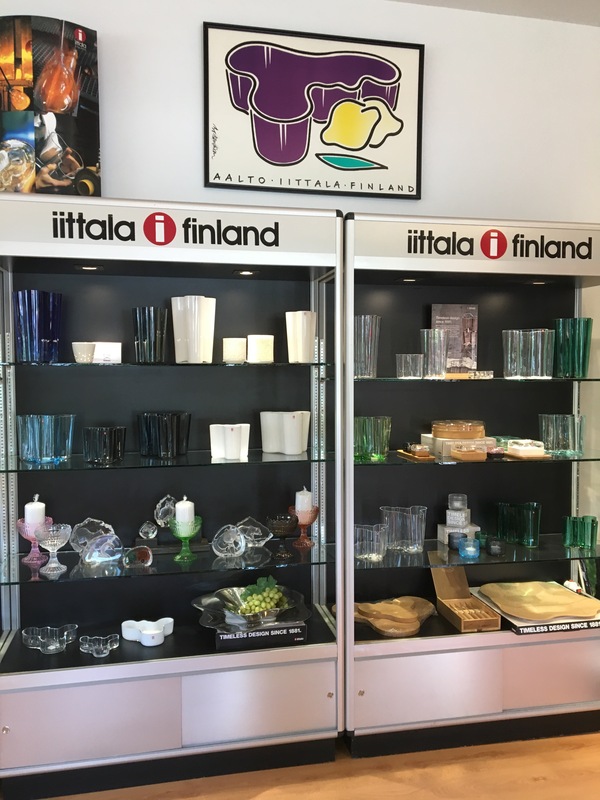 Always visit The Finnish Place website to make sure they aren’t travelling back home to Finland for new items for the store. If you are not in the Toronto area or may prefer to shop online, these are two websites that specialize in Finnish brands – Finnish Design Shop and FinnStyle. However to really experience Finnish design, definitely plan a holiday to Finland and immerse yourself from the moment you step off the plane. This year Finland celebrates 100 years of independence and design has been in the forefront of its identity since 1917. May this be the year you are inspired to explore, discover and hopefully fall in love with Finnish design.